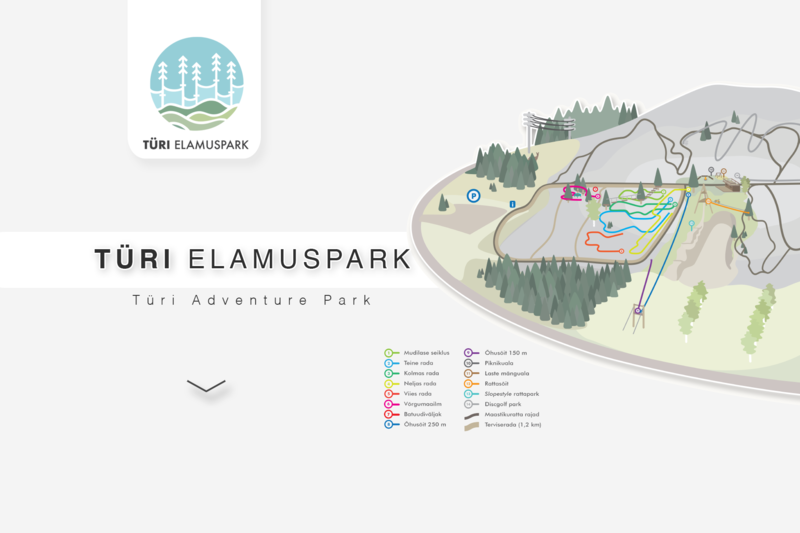 Türi Adventure Park, offering five different trails, is located in Kõrgessaare drumlin area in Türi Municipality. You can begin with the low children’s trail and end with activities on the 10-12-meter-high course. Adventure activities include various obstacles, providing participants with lots of excitement and challenge.